Ruth Esther Eysink was born July 8, 1937, to Henry and Dorothy (Goemaat) De Zwarte, on the family farm south of Pella. 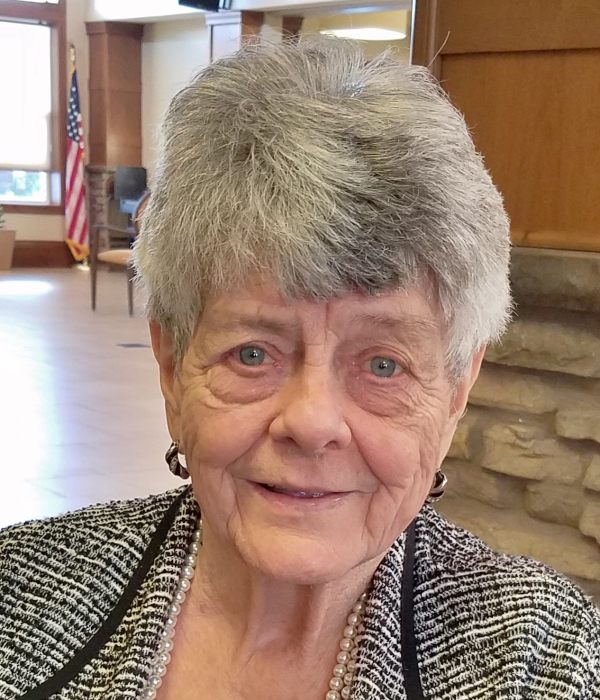 She passed away at The Cottages in Pella, on Thursday, October 4, 2018, at the age of 81. Ruth was a graduate of Pella Community High School. She worked in the banking industry for 27 years at Marion County Savings and Loan, and the Pella National Bank. She also worked at the REC office for 2 ½ years. On November 16, 1956, Ruth was united in marriage with Roland Eysink in Pella. They were blessed with two children: Stan and Sheryl. Roland and Ruth farmed for many years. Ruth was a member of the First Baptist Church in Pella and the First Baptist Senior Citizens Group. She was also a member of the Marion County Cattlemen’s Association and the Marion County Extension Council. Those left to cherish her memory are her children and their spouses: Stan and Carla Eysink. and Sheryl and Terry England all of Pella; two grandchildren: Lance Eysink of Pella, and Kelly and Curtis Johnson of Webster City; two great grandchildren: Aubree and Hadlee Johnson, and her sister Junella De Goey. Ruth was preceded in death by: her husband Roland, her parents, Henry and Dorothy De Zwarte, and her parents-in-law, Gerrit and Rosetta Eysink.